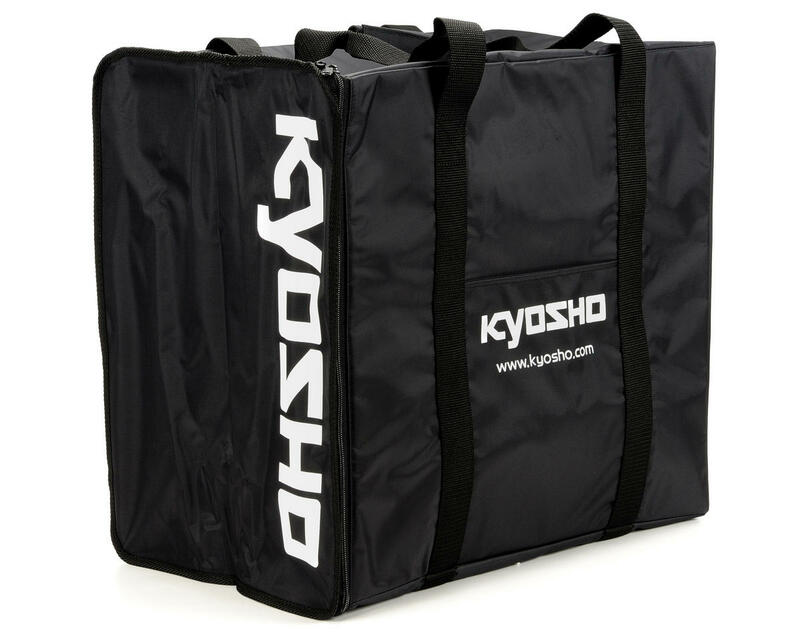 The Kyosho Small Size Pit Bag is perfect for 1/10 scale vehicle accessories, parts, tires and all the other essentials needed to transport. This bag features 3 separate (different sized) drawers that slide into heavy duty riveted sleeves. Each drawer and sleeve are made from industrial strength plastic that allows the drawers to slide easily and will hold up to years of abuse.